Stair Artist-Stair Design Tool allows you to create your ideal staircase. With over 25 trim/layout options and hundreds of iron and wood products the design possibilities are endless. 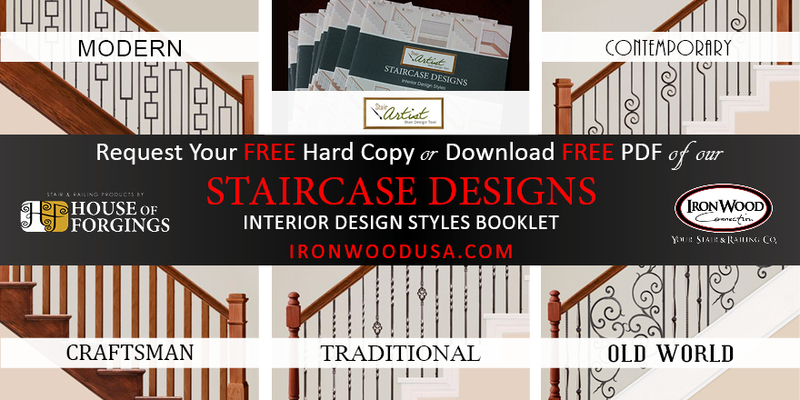 Our new Staircase Options Booklets(PDF) contain over 100 Preloaded Options/Patterns to view and modify. To view these options in Stair Artist simply load the appropriate number in the load layout box in Stair Artist. Stair Artist-Stair Design Tool-Start Designing Now!